Thank you for calling RadioShack, Home of the iPhone, this is Bob, how can I help you? 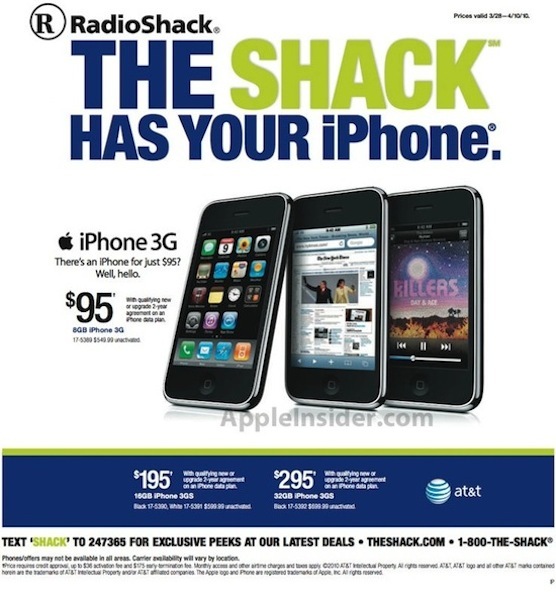 RadioShack has a special going on where you can trade in a 3G iPhone and get $100 off the new iPhone 4. I am on several "waiting lists" with different RadioShacks in the Dayton-area. I call a dozen of them everyday, probably along with hundreds of other people, and get the same answer. Now is not a good time to be working at RadioShack.